IBC Bank-McAllen dedicated the week of Oct. 24-29 as "Teller Appreciation Week" to honor the hard work and commitment to excellence. 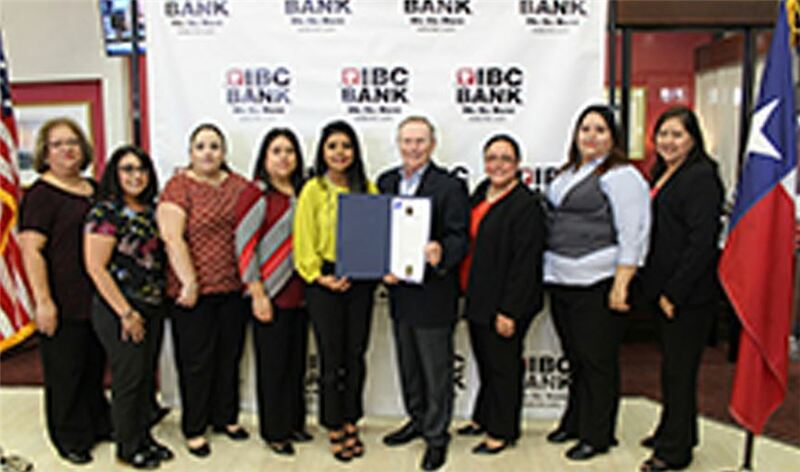 The IBC Bank Teller Appreciation Week proclamation is the only one of its kind in McAllen and it recognizes the diligent work tellers provide IBC Bank costumers on a regular basis. The McAllen team celebrated with a public reception and proclamation announcement by McAllen Mayor Jim Darling.